by Newt Gingrich: This Monday, June 15, is the 800th anniversary of the signing of the Magna Carta (Great Charter). At Runnymede, about 20 miles outside London, the barons forced King John of England to sign an agreement that represented a profound break in English history. King John believed that he governed by divine right, that God had given him power to make law. He was literally above the law and able to define it. According to this theory, there were no limits on his authority. Because John had fought a series of losing wars, he had lost prestige and was in desperate need of money. The barons were tired of what they saw as a weak and incompetent King wasting their money on badly executed foreign campaigns. They insisted that in return for the money he needed, he would concede three key principles. First, they insisted on the right to trial by jury which implied that juries could defy the King and find people innocent even if he wanted them punished. Next, they demanded a vote on all taxation, so the King could no longer requisition money on his own with no checks and balances. Finally, the very structure of the Magna Carta placed the King under the law because he was signing a document limiting his own powers. While the Magna Carta and its principles grew and shrank in importance over the following centuries, there emerged a steadily growing bias toward the rule of law. Finally, 551 years later, in 1776, the Americans adopted the most powerful statement of individual liberty based on their understanding of how the law had evolved. In the American Declaration of Independence, the founders asserted:We hold these truths to be self-evident, that all men are created equal, that they are endowed by their Creator with certain unalienable Rights, that among these are Life, Liberty and the pursuit of Happiness.–That to secure these rights, Governments are instituted among Men, deriving their just powers from the consent of the governed.General Jim Mattis (USMC, retired), the former head of the Central Command, constantly reminds people that American liberty under the rule of law remains the most radical idea of human freedom on the planet. It was and is the exception rather than the rule. This model of liberty within the rule of law validated and managed through free elections involving a free people with rights to free speech has been remarkably successful. More people from more cultures speaking more languages have found the ability to pursue happiness within the American system than in any other country in history. After World War II, freedom and self-government within the rule of law appeared to be spreading widely. With the fall of the Soviet Union in 1991 it seemed that the American model of self-government was on the verge of dominating worldwide. That tide of progress has clearly fallen short, however, and begun to recede. First, authoritarianism is clearly on the rise once again as a system of government. Just as in the 1930s, authoritarian, centralized states with secret police powers increasingly threaten the rule of law and limited government around the world. World leaders from Hungary to Venezuela to Cuba to Syria view the Putin model (state-dominated society with a strong man as leader) and the Chinese model (a central dictatorial committee) as desirable. There are a lot more fake democratic systems, in fact run by strong autocratic leaders, than anyone has taken into account. Second, corruption is growing, especially in places that are becoming wealthy faster than their institutions and culture are adapting to the rule of law. From drug cartels to corporate payoffs to rich oligarchs bribing underpaid officials, the spread of large-scale corruption continues to grow. This makes it possible for the wealthy and the corrupt to abuse the poor and the weak. Finally, the growing movement for Islamic supremacy is a direct threat to freedom and the rule of law. Whether it is ISIS, Al-Shabaab, Boko Haram, Al Qaeda, the Taliban, the Muslim Brotherhood, the Iranian dictatorship or a host of other Islamic supremacist organizations, their vision of imposing their beliefs by beheading or mass slaughter if necessary is clearly incompatible with freedom and the rule of law. Everyone who cherishes the legacy of the Magna Carta and the Declaration of Independence has to confront the threats to our freedoms. Twice in the last century, tyranny has threatened to overwhelm liberty. In the 1930s, the combination of Communism, Fascism and Naziism with Stalin, Mussolini, Franco and Hitler as ruthless leaders seemed to be on the edge of destroying Western civilization. In the 1970s, the momentum of Communism from the Soviet Union, Cuba and China combined with appeasement and subversion in the West led to books about the death of democracy and a general sense of malaise and looming defeat. We overcame both challenges with courageous leadership and moral clarity. Once again we have to draw on our memories of the great principles of freedom and prepare to win the struggle against the three enemies of freedom. Tags: Newt Gingrich, Three Threats to Freedom, attacks on rule of law, Authoritarianism, Corruption, Islamic supremacism, 800th anniversary, signing, Magna Carta, Great Charter, To share or post to your site, click on "Post Link". Please mention / link to the ARRA News Service. and "Like" Facebook Page - Thanks! Extract- UPI reports: In the rush to add additional Secret Service agents to the White House security detail, dozens of new recruits have been posted without completed background checks, government officials said. Up to five dozen newly minted agents have been posted to sensitive positions without completing the national security clearance process. Secret Service Director Joseph P. Clancy acknowledged the problem last week in a conversation with Rep. Mark Meadows (R-N.C.). Meadows raised the issue after hearing a newly hired officer was present for a White House meeting where classified information was shared, The Washington Post reported. The Secret Service said there is an "administrative backlog" in issuing security clearances with the large number of new hires. Officials said the background checks will be completed by Friday. As a condition of employment, all Secret Service agents and officers must submit to background checks and a lie-detector tests and must obtain top-secret clearance. Agents are frequently privy to classified meetings and discussions. Makes one wonder how these new secret service agents were hired and placed on duty at the White House. What training may they lack? What do you think? Should Secret Service Agents be working in the White House without Security Clearances? For more information about the Secret Service and "Frequently Asked Question," visit the SecretService.gov website. Tags: new, secret service agents, White House, no security clearances, To share or post to your site, click on "Post Link". Please mention / link to the ARRA News Service. and "Like" Facebook Page - Thanks!
. . . Report; TSA Workers linked to terrorism. Could this be part of Obama’s ISIS jobs program we’ve been hearing about? 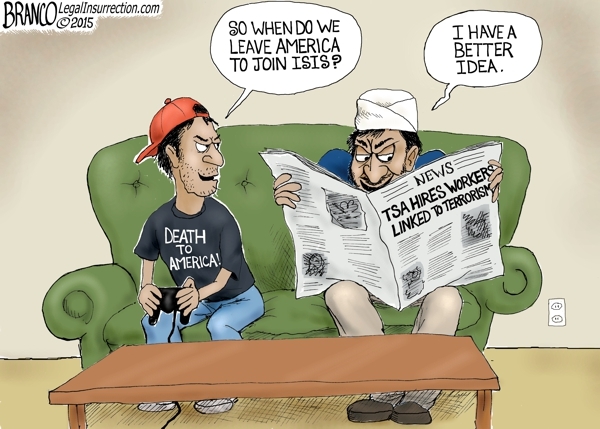 Tags: ISIS Job Opportunities, TSA, editorial cartoon AF BrancoINSERT TAGS To share or post to your site, click on "Post Link". Please mention / link to the ARRA News Service. and "Like" Facebook Page - Thanks! Update 5:57 PM via Eagle Forum: TAA Fails - TPA Passes. First came the vote for Trade Adjustment Assistance (TAA). This ineffective and wasteful government program supposedly helps workers who lose their jobs due to foreign trade; in reality, it's a bribe to garner Democrat support for trade. Most Democrats voted against TAA in an effort to kill the whole trade package, and most Republicans opposed TAA as useless government spending. That left 86 Republicans who voted yes, either in support of more government spending or out of total commitment to moving President Obama's top current legislative priority, TPA. The TAA vote failed, but the House moved onto the second part of the package, Trade Promotion Authority (TPA). TPA empowers President Obama to make his trade deals with foreign countries and takes away Congress's ability to amend any agreement. Only 54 Republicans voted NO. Although the failure of TAA today delays the process, Speaker Boehner has the power to bring TAA back to the floor next week. The outcome of that vote will determine the fate of this trade package. The Senate is not in session today and will reconvene at 2 PM on Monday. Yesterday, Senate Democrats filibustered a bipartisan cybersecurity bill, S. 754, when they voted down an amendment containing it to H.R. 1735, the Fiscal Year 2016 Defense Authorization bill. The amendment was defeated by a vote of 56-40 (60 votes were needed to approve it). The House convened at 9 AM today. The house is expected to vote on TPA and TPP today. H.R. 2685 (278-149) — "Making appropriations for the Department of Defense for the fiscal year ending September 30, 2016, and for other purposes." Senate Amendment to H.R. 1295 Agreed to: (397-32). Tags: Iouse. vote, TPP, TPA, To share or post to your site, click on "Post Link". Please mention / link to the ARRA News Service. and "Like" Facebook Page - Thanks! Tags: National Defense Authorization Act, world, complex crises, Democrats, claim NDAA Waste of time President threatens veto, unless IRS gets more money To share or post to your site, click on "Post Link". Please mention / link to the ARRA News Service. and "Like" Facebook Page - Thanks! by Ralph Benko, Contributing Author: Let me now publicly reveal my long love affair with John Maynard Keynes. On June 5th, stationed on a barrier island in the Gulf of Mexico, I raised my annual toast to the memory of this great man on the anniversary of his birth. This year there is something extra to celebrate: the publication, by Basic Books, of Richard Davenport-Hines’s lovely Universal Man: the Lives of John Maynard Keynes. It is about Keynes the man rather than Keynes the economist. According to the publisher:Previous biographies have explored Keynes economic thought at great length and often in the jargon of the discipline. Universal Man is the first accessible biography of Keynes, and reveals Keynes as much more than an economist. … Accordingly, Davenport-Hines views Keynes through multiple windows, as a youthful prodigy, a powerful government official, an influential public man, a bisexual living in the shadow of Oscar Wilde’s persecution, a devotee of the arts, and an international statesman of great renown. … Davenport-Hines is the first to argue that Keynesian economics has an aesthetic basis.It may seem perverse for me, a veteran, die-hard, supply-sider, to extol Keynes. It is not. I claim him as our own. Keynes often is misunderstood. So was, and is, supply-side economics. Supply-side was (and is) pilloried from the left as “trickle-down.” This neglects — or studiously ignores — the fact that Reagan’s Kemp-Roth tax rate cut was across-the-board and generated a massive wave of economic flourishing for working families. Even the farther reaches of the left really ought to reconcile itself — Bernie Sanders call your office! – to letting the rich get richer as acceptable collateral damage in letting working families flourish. So why is the raven of supply-side economics like the writing desk of John Maynard Keynes? Both share a passionate dedication to high employment and the flourishing of workers. Both are grounded in pragmatism rather than stale dogmas. Both have a pragmatically friendly stance toward the state (with supply-side demonstrating, of course, a greater skepticism toward the powers of government to do good, although not the hostility evidenced by harder core libertarians… much to the horror of said libertarians.) Both supply-side and Keynes have in common inquisitive pragmatism. Significant differences? Yes. That said, let’s not overlook our commonalities. I first began to doubt the conventional picture of Keynes-as-Statist upon encountering a line from a letter he, as a young man, wrote to the artist, his lover, Duncan Grant. Keynes wrote “I work for a government that I despise for ends I think criminal.” This is a sentiment quite worthy of a hardest core libertarian. Davenport-Hines paints a picture of Keynes that brings Keynes, the man, vividly to life. Before praising Davenport-Hines, however, a quibble, first, with Basic Books is in order. The American publisher’s promotional copy at Amazon makes the risible claim that:Keynes’s brilliant ideas made possible 35 years of prosperity after the Second World War, the most sustained period of rapid expansion in history. … Indeed, with the thorough discrediting of his opponents—Friedrich Hayek, Milton Friedman, Alan Greenspan, and other supporters of the notion that capitalism is self-regulating, and needs no government intervention—nations across the world are turning to Keynes’s signature innovations: above all that governments must involve themselves in their economies to stave off financial collapse.This is a grotesque misrepresentation of Davenport-Hines’s excellent work (and an offhandedly gratuitous insult to many potential readers). Surely Keynes himself would have scoffed at seeing his inquisitive pragmatism elevated to the dogma that “governments must involve themselves in their economies to stave off financial collapse.” It was, after all, a fundamentally Neo-Keynesian regime that caused the financial collapse of 2008, the Great Recession and sluggish recovery. Moreover, this claim confusedly attributes the 35-years of good growth directly after WWII to “Keynes’s brilliant ideas.” The reality was far more complex. This claim slyly ignores the defects in Neo-Keynesianism that vividly emerged in the ensuing 40 years. Quibble time over. Davenport-Hines shrewdly observes:‘No-one ever became an economist through an uncontrollable impulse,’ Robert Bootheby declared at the London School of Economics in 1933. ‘No-one, looking at an economist, ever said: “there, but for the grace of God stand I.” Keynes began studying economics as a diversion from philosophy, with its thorny investigations of ethics, aesthetics, and logic, but had only eight weeks’ training in the subject. He was taught by his father’s early mentor, Alfred Marshall…. Marshall urged that if booms and slumps were to be understood, monetary economics must be treated as a distinct specialty, and convinced him to specialize in money and banking. ‘I find Economics increasingly satisfactory, and I think I am rather good at it,’ Keynes told Lytton Strachey in 1905. ‘I want to manage a railroad or organize a Trust or at least swindle the investing public. It is so easy and fascinating to master the principles of these things.’ He never sat an examination in economics: his knowledge came from pondering problems and discussing them as much as from book-learning.“Or at least swindle the investing public”? Davenport-Hines has an eagle eye for the gems of Keynes’s enchanting wit. There is an element of self-description in this summary.Keynes as magician-scientist has a ring of truth. It could be argued (although is not, quite, in Universal Man) that Keynes’s most defining genius was his early grasp of postmodernism. Postmodernism has most succinctly been defined by Jean-Francois Lyotard, as “incredulity toward metanarratives.” Incredulity toward his own metanarrative, as well as those of others, is a trait that Keynes brilliantly displayed. There is a strong argument to be made that Keynes’s greatest contribution to the culture, still not fully assimilated, is that of proto-postmodernist rather than economist. Davenport-Hines portrays Keynes, above all, as militant foe of “impractical stupidity:”For a time Keynes gave vitality and even militancy to the Liberals: he saw himself as a lancer riding into the thick of the fight against impractical stupidity. Asked in 1926 to define the three groups of non-revolutionary reformers, Keynes had his answer pat. ‘A whig is a perfectly sensible Conservative. A radical is a perfectly sensible Labourite. 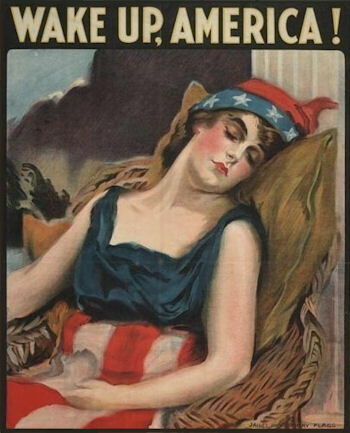 A Liberal is anyone who is perfectly sensible.’Keynes, notwithstanding his own errors and ongoing revisions of his own prescriptions (including about the gold standard, on which he held various positions over time), fundamentally was a champion for the “perfectly sensible.” Keynes assuredly was right in describing the interwar "gold-exchange standard" as a barbarous relic. This is Keynes’s world. We just live in it. It really is of great value to understand Keynes, whether to emulate his best characteristics or to help dismantle the “impractical stupidity” of our current policy elites. Richard Davenport-Hines has given us an internationally acclaimed book that will reward its readers both in pleasure and in virtue. While reading it, tonight, join me in raising a toast to John Maynard Keynes, the Universal Man. 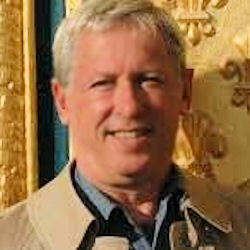 Ralph Benko is senior advisor, economics, to American Principles in Action’s Gold Standard 2012 Initiative, and a contributor to he ARRA News Service. Founder of The Prosperity Caucus, he was a member of the Jack Kemp supply-side team, served in an unrelated area as a deputy general counsel in the Reagan White House. The article which first appeared in Forbes was submitted for reprint by the author. Tags: Ralph Benko, Supply-Sider, Secret Love Affair, With, John Maynard Keynes To share or post to your site, click on "Post Link". Please mention / link to the ARRA News Service. and "Like" Facebook Page - Thanks! Are Airline Prices Going to Rise Because of the EPA? by Katie Tubb: If we see airline prices go up in 2016, you might be able to thank the lawyers at radical environmental groups Center for Biological Diversity and Friends of the Earth. While the EPA is selling this regulation as being about the health of the American people, it’s not. The EPA’s conclusion is the latest assault on the consumer in the name of impacting global warming. The groups, along with other extremist organizations like the Natural Resources Defense Council, petitioned the EPA in 2007 to determine the effects of airplane emissions on air quality, and subsequently sued the EPA for not doing so. The D.C. District Court mandated that the EPA make a determination and the environmental groups again threatened to sue if EPA did not make a determination by February 2015. Why was EPA’s conclusion unsurprising? Well, the EPA issued an “endangerment finding” in 2009, stating that carbon dioxide emitted from vehicles was a pollutant dangerous to public health. Consequently, EPA issued a series of greenhouse gas regulations on cars and light-duty trucks. This led to regulations on existing and future power plants, known as the Clean Power Plan, to be finalized jointly this summer. The next moving thing to regulate was clearly planes. EPA has already initiated a rulemaking process considering how it might regulate airplanes to be in conformity with the U.N.’s International Civil Aviation Organization’s standards on airline greenhouse gas emissions. EPA has been a part of discussions to set ICAO standards, which are expected in February 2016. These actions are entirely unnecessary, however. According to the Federal Aviation Administration, airplanes have outpaced cars and transit buses to be one of the most energy efficient modes of transportation. Airlines are inherently interested in finding ways to use energy more efficiently (and consequently reduce carbon dioxide emissions) as fuel expenses are the largest source of operating expenses. 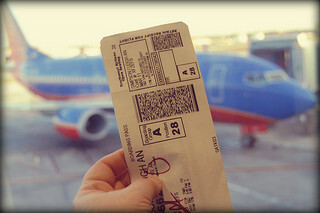 From 2004 to 2012, airlines have increased energy efficiency by over 24 percent, and by 70 percent since the 1960s. Airlines have cut costs and increased energy efficiency by using lighter materials, engine control systems, and winglets to improve aerodynamics. Airlines have even reduced the amount of ice carried onboard for complimentary drinks. Fleets are only going to become more efficient as new planes naturally replace older, retiring planes—according to the Federal Aviation Administration, over half of today’s fleet of airplanes will be retired and replaced with new planes in 10 years. When it comes to real pollutants like particulate matter, nitrous oxides, volatile organic compounds and sulfur dioxide—pollutants which EPA regulates because at some level these do have negative effects on human health—airplanes create a miniscule fraction of emissions compared to ships, rail and road transportation. But the EPA’s endangerment finding today has very little, if anything, to do with these pollutants. It has everything to do with the EPA’s dubious conclusion that manmade greenhouse gas emissions—particularly from carbon dioxide—are causing and accelerating catastrophic global warming. In coming to its endangerment finding for airplanes, the EPA relied on its initial endangerment finding in 2009 that carbon dioxide emissions were harmful to human health because of the alleged connection with global warming, and therefore able to be regulated by the EPA under the Clean Air Act. However, the climate science was dubious then and over the six years since even more scientific data has shown the endangerment finding to be on shaky ground. Even if carbon dioxide emissions were a problem, airplane emissions aren’t exactly America’s Most Wanted. EIA records carbon dioxide emissions from energy use and jet fuel amounted to just 4 percent of the total in the U.S. for 2014. For comparison, gasoline amounted to 20 percent. EPA has yet to propose regulations on airplane carbon dioxide emissions. However as with its expensive vehicle and power plant regulations, the costs will ultimately be borne by American consumers, families and businesses unless Congress intervenes first. When costs of compliance increase, it also means less opportunity (fewer jobs to go around) and forcing people to make tough decisions about their family budgets (in order to pay the higher utilities bill). EPA’s global warming agenda will affect quality of life. So what are we getting for the costs? Unfortunately, not much. Tags: EPA, endangerment finding, EIA records, Airlines, higher costs, ticket prices, going up, Katie Tubb, Heritage Foundation, The Daily Signal To share or post to your site, click on "Post Link". Please mention / link to the ARRA News Service. and "Like" Facebook Page - Thanks! by Phil Kerpen, Contributing Author: I hate to be the bearer of bad news, today, the DC Circuit Court of Appeals DENIED a stay of the FCC order that will, effective tomorrow, reduce the Internet to a public utility. That doesn’t mean the order is actually legal, but it does mean it will take effect while the courts decide. That means, beginning tomorrow, that federal bureaucrats will be in charge of the Internet, using Depression Era tools designed for the monopoly phone system, impairing investment, innovation, and economic growth. It is now MORE URGENT THAN EVER that Congress step up and stop the FCC. Fellow Conservative, send a letter by clicking here will demand Congress take action. Do not despair. Our opponents have been pushing for over a decade to destroy the free-market Internet, and we stopped them over and over again. This time, they won one. A big one. But we cannot and must not give up and allow their victory to be permanent. The stakes are simply too high. We appreciate you taking the time to read our e-mails and we hope you enjoy the updates we provide. We hope you decide to lend your voice on this important issue again. If you’ve sent a hundred letters to Congress already or haven’t sent any at all, please click here NOW to force Congress to head to the negotiating table! Phil Kerpen is president of American Commitment. Follow him at (@kerpen) and on Facebook. He is a contributing author at the ARRA News Service. Tags: Phil Kerpen, American Commitment, FCC, Internet Takeover, To share or post to your site, click on "Post Link". Please mention / link to the ARRA News Service. and "Like" Facebook Page - Thanks! 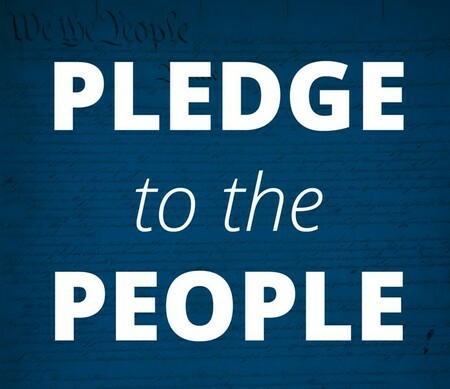 GOP Presidential Candidate Mike Huckabee has declared his "Pledge to the People of America." I will adhere to the Constitution of the United States. I will advocate for a complete overhaul of our tax system. This means passing the FairTax and abolishing the IRS. I will support a Balanced Budget Amendment to the Constitution. I will now, and will for the duration of my presidency, promote and sign all measures leading to Obamacare’s defunding, deauthorization, and repeal. I will oppose amnesty and government benefits for illegal immigrants who violated our laws, repeal President Obama's unconstitutional executive orders, and secure our borders. I will stand for the sanctity of all human life from the moment of conception until the grave. Taking this unequivocal stand includes fighting to defund Planned Parenthood. I will stand for the Institution of Marriage and vigorously oppose any redefinition. I will defend our 2nd Amendment rights and oppose gun control legislation. I will fight for the United States military to be the most feared, respected, and capable fighting force the world has ever known. I will restore our military infrastructure after years of abuse and neglect. I will stand with our friend and ally Israel in our shared fight against Radical Islam. I will do everything in my power to prevent Iran from obtaining nuclear capability. I will end the national disgrace of failing to properly care for our veterans. I will protect Social Security and Medicare and never rob seniors of the benefits they were promised and forced to pay for. I will fight to kill Common Core and restore common sense. Education is a family function - not a federal function. I will support the elevation of none but faithful constitutionalists as judges or justices. They must be committed to restraint and applying the original meaning of the Constitution, not legislating from the bench. I will fight for term limits for members of Congress and judges. Editor's Note: This is not an endorsement. The ARRA News Service will share meaningful statements if and when provided by conservative candidates for President. Tags: Mike Huckabee, Pledge to the People of America, 2016, candidate, Republican nomination, president, To share or post to your site, click on "Post Link". Please mention / link to the ARRA News Service. and "Like" Facebook Page - Thanks! by Gary Bauer, Contributing Author: "Historic Blunder" - A key House Foreign Affairs subcommittee yesterday heard testimony from defense and nonproliferation experts regarding President Obama's nuclear deal with Iran. The hearing also tackled the issue of Iran's ballistic missile program, which is often ignored in the larger debate about its nuclear ambitions. Ambassador Robert Joseph, an arms control expert, told members of Congress that Obama's Iranian nuclear deal "will represent perhaps the single greatest strategic mistake in the national security area in the past 35-plus years." "There's no doubt that some will describe this agreement as historic. . . . And it will be historic; it will be a historic blunder," Ambassador Joseph said. Professor David Cooper of the Naval War College also testified. Dr. Cooper said, "At this moment, Iran is the only country in the world that says it has no nuclear weapons ambitions, and yet has fielded an intermediate-range ballistic missile." Earlier this year, Iran launched a satellite into space. The same technology can be used to develop intercontinental ballistic missiles (ICBMs) capable of carrying nuclear payloads. Rep. Ed Royce (R-CA) warned, "Ballistic missiles are not a separate and secondary issue, but part and parcel of Iran's nuclear weapons infrastructure." He is exactly right. "Wishful Thinking" - Perhaps the most damning testimony during yesterday's hearing came from Lt. Gen. Michael Flynn, Obama's former chief of the Defense Intelligence Agency. Lt. Gen. Flynn testified that Obama's nuclear deal "suffers from severe deficiencies," and he slammed Obama's hope that Iran might "change its strategic course" as "wishful thinking." Consider these excerpts:"Iran has every intention of building a nuclear weapon. . . . Iran's stated desire to destroy Israel is very real. Iran has not once contributed to the greater good of the security of the region. . . . Iran killed or maimed thousands of Americans and Iraqis during our fight in Iraq. . . .
"I believe that Iran represents a clear and present danger to the region, and eventually to the world. They are still a U.S. State Department designated Islamic state sponsor of terrorism. They have and they continue to violate international sanctions, and they continue to spew hatred in their rhetoric coming from senior members of their government -- to include their top mullahs. . . .
"As the Washington Post editorialists have said, regime change in Tehran is the best way to stop the Iranian nuclear program. . . . Just look at [Iran's] cooperation with North Korea, China and Russia. Connect those dots and you get the outline of a global alliance aimed at the U.S., our friends and our allies. ""Death To America" - Speaking of that hateful rhetoric that General Flynn referred to, a top Iranian general said yesterday that the United States "remains [Iran's] worst and most vicious enemy." Last week, Iran's supreme leader, Ayatollah Ali Khamenei, delivered a televised speech. According to a BBC transcript, his audience repeatedly interrupted his remarks with chants of "Neither compromise nor surrender, fight America!" and "Death to America! Death to England! Death to nonbelievers! Death to Israel!" What exactly was Khamenei saying that got the crowd so riled up? He was speaking on the anniversary of the death of Ayatollah Ruhollah Khomeini, who led the Islamic revolution in Tehran. He said:"'The Great Satan' was an astonishing term that [Khomeini] coined. The ideological and practical implications of the term 'The Great Satan' are very vast in scope. When you consider someone and some organization as 'Satan,' it is clear how you should behave and feel towards them. "That should be a wake-up call to anyone tempted to think that disputes in the Middle East are Israel's problem and not ours. Knowing Jewish history, Israeli leaders instinctively understand the dangers of such rhetoric. Unfortunately, too many western elites make excuses for such rhetoric. They dismiss it as intended only for "domestic consumption." The world made that mistake with Adolf Hitler too. What does it say about how far genocidal hatred permeates significant segments of Iran's population when our own government concludes that repeated calls for a second holocaust by Iranian leaders are not serious but are merely intended to satisfy such a yearning? It is delusional to think we can negotiate with this tyrannical regime. Tags: Gary Bauer, Campaign for Working Families. House Foreign Affairs Subcommittee Hearing. Iran, Historic Blunder, Wishful Thinking. 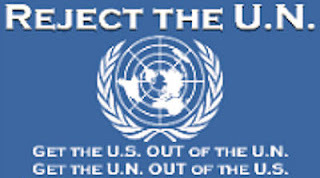 Death to America, Wake Up America To share or post to your site, click on "Post Link". Please mention / link to the ARRA News Service. and "Like" Facebook Page - Thanks! by Cris Cox, Executive Director, NRA-ILA: Barack Obama's gun-hating allies in Congress are charging straight at us again. And if you can't afford this expensive new insurance mandate? You might as well call it "Obamacare for Gun Owners." 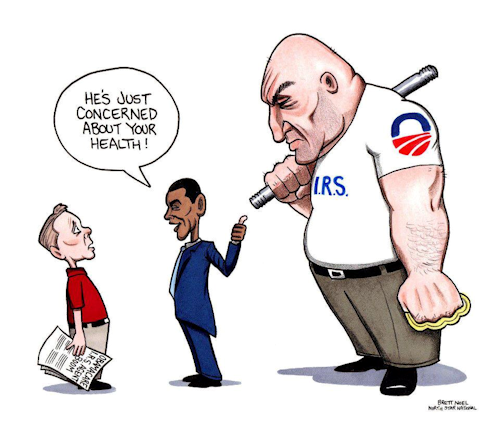 Obama's pals are all over the media right now, peddling the OUTRIGHT LIE that this crippling new insurance mandate is needed because YOU can't be trusted to be a safe gun owner. This latest attack on our freedom has NOTHING to do with safety. It has EVERYTHING to do with making it as expensive and difficult as possible for YOU to exercise your Second Amendment rights. It would also create a de facto registry of every law-abiding gun owner in America. Do you want an insurance broker to visit your home and catalog every serial number of every gun you own? Do you want the Obama administration picking through that database like it does with your phone records? NRA-ILA is going to the wall to STOP this latest attack on our gun rights, but we need YOUR HELP NOW. Please, go here to write your U.S. Representative and tell him or her to publicly and forcefully oppose H.R. 2546. 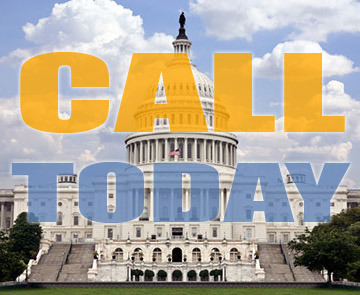 Your Congressman needs to hear from you! Tags: H.R. 2546, Firearm Risk Protection Act of 2015, democrat sponsors, insurance mandate, NRA-ILA, To share or post to your site, click on "Post Link". Please mention / link to the ARRA News Service. and "Like" Facebook Page - Thanks! Today in Washinton, D.C. - Rick Manning, President of Americans for limited Government notes, "Today 34 House Republicans displayed an extraordinary amount of political courage by voting to deny Speaker Boehner the ability to bring fast track trade authority to the floor of the House. If Boehner had not succeeded in lobbying 8 Democrats to pull his bacon out of the fire, fast track would now be dead. Tomorrow, there will be significantly more Republicans voting against fast track as concerns about President Obama's surrender of U.S. sovereignty through the Trans-Pacific Partnership becomes fully evident. For those 34 Republicans who took a stand, today's action deserves universal praise from freedom loving Americans nationwide. They listened to their constituents." 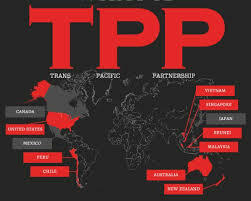 Tomorrow, TPA/TPP is expected to be voted on in the House. As ARRA News Service noted yesterday, included is a Secret Immigration Chapter In Obama’s Trade Agreement called the Trade in Services Agreement (TiSA) Annex on Movement of Natural Persons which in fact unilaterally permits alteration of current U.S. immigration law. Follow the link and read the actual document shared by Brietbart. The House reconvened at 10 AM today. As of this report, the House took up and passed H.R. 2685 (Voice Vote) — "Making appropriations for the Department of Defense for the fiscal year ending September 30, 2016, and for other purposes." H.R. 2685 — "Making appropriations for the Department of Defense for the fiscal year ending September 30, 2016, and for other purposes." H.R. 1314 - To amend the Internal Revenue Code of 1986 to provide for a right to an administrative appeal relating to adverse determinations of tax-exempt status of certain organizations. Consideration of the Senate amendments to the bill (H.R. 644) to amend the Internal Revenue Code of 1986 to permanently extend and expand the charitable deduction for contributions of food inventory." Yesterday the House passed H.R. 2393 (300-131) — "To amend the Agricultural Marketing Act of 1946 to repeal country of origin labeling requirements with respect to beef, pork, and chicken, and for other purposes." The Senate reconvened at 10 AM today. Following an hour of morning business, the Senate resumed consideration of H.R. 1735, the Fiscal Year 2016 Defense Authorization bill. Yesterday, the Senate voted 31-65 against a motion to table (kill) an amendment from Sen. Mark Kirk (R-IL) to reauthorize the Export-Import Bank. The amendment therefore remains pending, but has not been added to the bill. Also yesterday cloture was filed on an amendment offered by Sen. Richard Burr (R-NC) which contains the text of a bipartisan cybersecurity bill (S. 754). This morning, Senate Majority Leader Mitch McConnell discussed the urgency of passing bipartisan cybersecurity legislation in the wake of a massive data breach at the Office of Personnel Management. “I think a lot of people were shocked to hear that the Obama Administration was unable to prevent the information of 4 million Americans from being compromised by hackers. Officials in the White House now owe it to every American to let Congress help them get out of the past and up to speed with the cybersecurity realities of the 21st Century. That’s just what the measure we’ll soon consider would help do. “It contains modern tools that cybersecurity experts tell us could help deter future attacks against both the public and private sectors. The measure would also help get the word out faster about attacks as soon as they’re detected, provide governments and businesses with knowledge they can use to erect stronger defenses, and help strike a critical balance between security and privacy in the process. . . .
“This is more than just a smart measure, it’s a transparent one too. It’s been carefully scrutinized by Senators of both parties. It’s been endorsed overwhelmingly on a bipartisan basis by nearly every single Democrat and every single Republican on the Intelligence Committee. And it’s been posted online and available for anyone to read for quite some time. Yesterday, USA Today wrote, “Cybersecurity experts say the Senate could help thwart hack attacks by passing legislation to encourage private companies to share information with the government about data breaches as soon as they are detected. . . . Senators from both parties have been urging McConnell to schedule a vote on the bill in the wake of the massive hack of the Office of Personnel Management. That attack, revealed by OPM officials last week, has compromised the data of 4 million federal employees. “The cybersecurity bill would not stop all attacks but it would help get the word out faster about data breaches and give businesses and government agencies the knowledge they need to better defend themselves, experts said. ‘If a company gets attacked and releases that information and everybody else is made aware of that, they can immediately protect themselves,’ said Arun Vishwanath, an expert on cyber deception at the University at Buffalo. . . .
Acting quickly to address cyberattacks is the reason Leader McConnell decided to offer this cybersecurity bill as an amendment to the Defense Authorization bill. But of course Senate Democrats have announced that they’d rather block a bipartisan bill addressing a critical national security issue because they didn’t want to take it up in this order. According to Politico, “Top Democratic sources said Wednesday that they believe Senate Democrats have enough votes to stop the cybersecurity legislation from advancing as part of a defense authorization bill on the floor this week. . . . [B]y using the Senate’s filibuster rules to block the legislation, Democrats could open themselves to criticism that they are stalling a critical cybersecurity measure that sailed through the Intelligence Committee in March — particularly in the wake of a sweeping cyberattack that hit millions of federal workers and compromised their private information. . . . Unfortunately, he said, “That hasn’t stopped some Democrat leaders from thinking they should try to score political points by taking down a bipartisan measure to combat cyberattacks.” Senators will have a chance to vote on this cybersecurity bill in the next few days. Democrats will then show whether they’ll put politics in front of a key security measure. Tags: T\House, TPP, TPA, TiSA, Senate, Defense Appropriations Bill, Cyber Security Amendment To share or post to your site, click on "Post Link". Please mention / link to the ARRA News Service. and "Like" Facebook Page - Thanks!